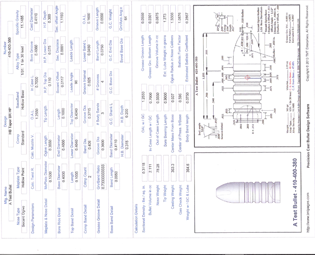 This Cast Bullet Design ~ Professional Version is for Commercial and for-profit use. 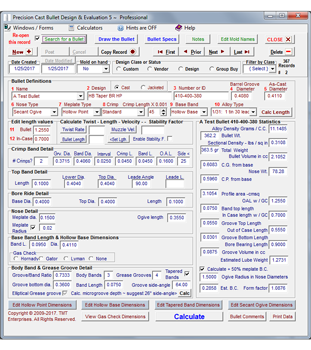 Updated on July 12, 2018. 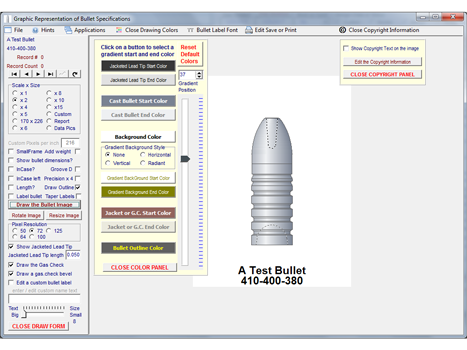 Resize and batch draw then save to image files, bullet images and dimension sketches to be used for marketing purposes. 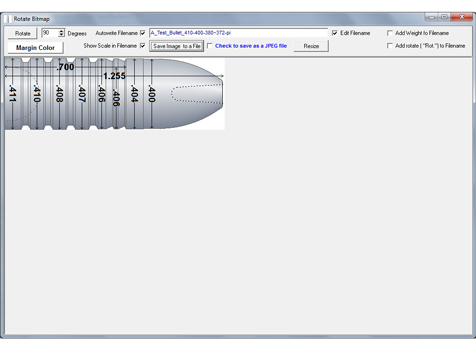 Just set up the drawing parameterst the computer will step through a filtered database, drawing and saving the images. 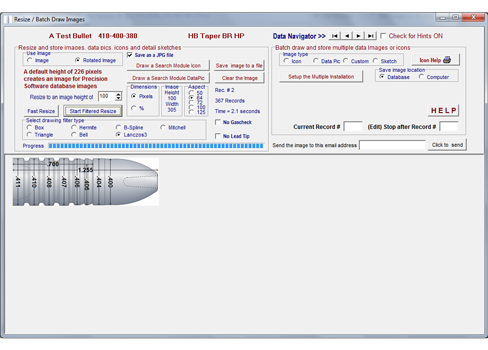 Resize and batch draw Data Pics and Icons for each design in the databases. 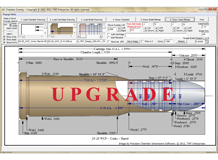 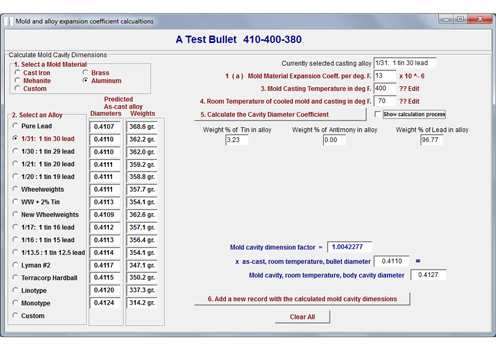 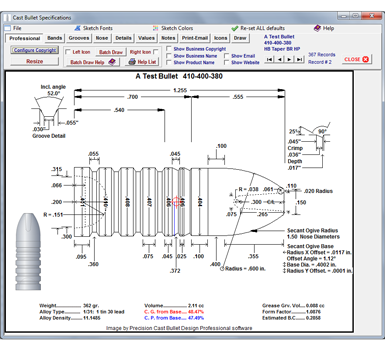 Export all or filtered design files dimensions to client users of the Cast Bullet Design software. 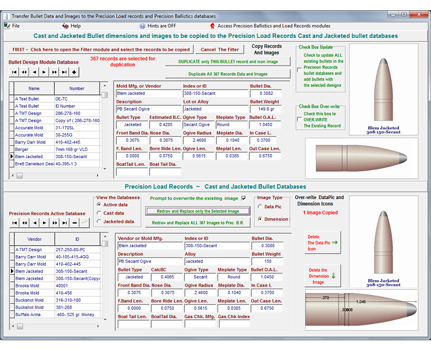 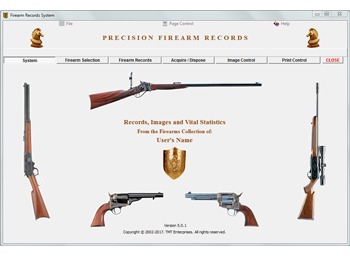 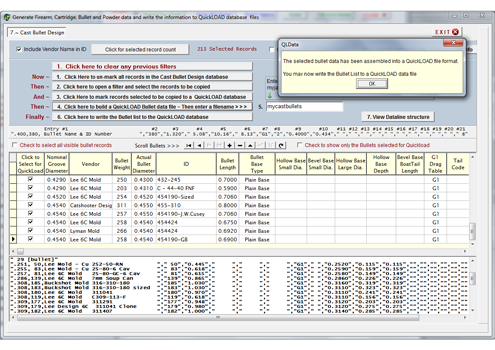 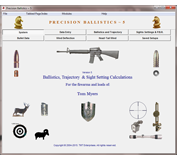 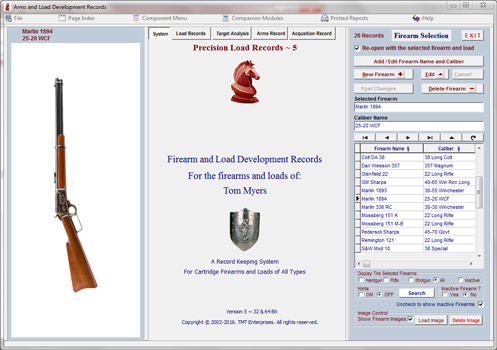 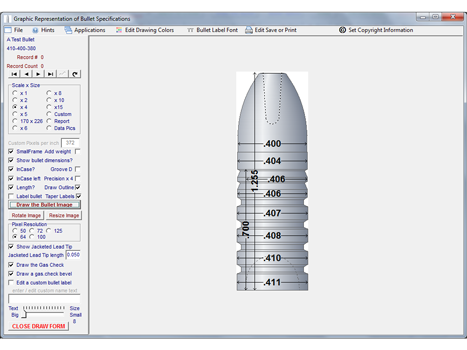 Instantly create a QuickLoad database of your bullet designs for users of the QuickLoad software program.